A book as riveting and outrageous as its subject: actor and comedian Tracy Morgan tells his raw, searing life story with his trademark take-no-prisoners humor. For years, Tracy Morgan has been one of the wildest and most unpredictable comedic stars in television and film, an actor whose hysterically funny and absurd on-screen antics drew as much attention as his turbulent personal life. Now, as one of three principal characters on the smash hit sitcom 30 Rock, his celebrity is reaching new heights and he's using his brilliantly warped sense of humor to tell the astonishing story of how he got there in spite of unimaginable odds. 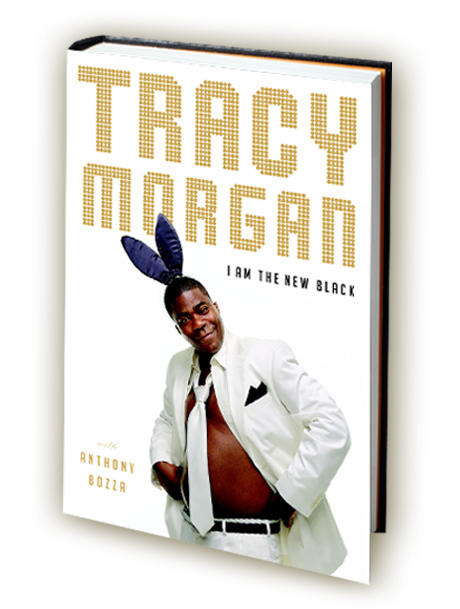 Tracy Morgan, SNL alum and star of the hit sitcom 30 Rock, tells his life story for the first time in I AM THE NEW BLACK, on sale now.